As a stylist, I’m always on the hunt for new brands. I’ve been fortunate that since having a baby a year ago, I’ve discovered so many amazing brands for children (and parents!) that get me excited about dressing my little guy up. I’m not going to lie, I love shopping at Target for kids clothes, but we’re so lucky that in this day and age, there are some really amazing children’s wear brands out there now. Our parents didn’t have access to things like this, so my mom resorted to making a lot of my clothing to find unique pieces. I’ve been stocking up on a few heirloom pieces and things that make me smile in addition to the cheapie pieces—kind of like how I build my own wardrobe. 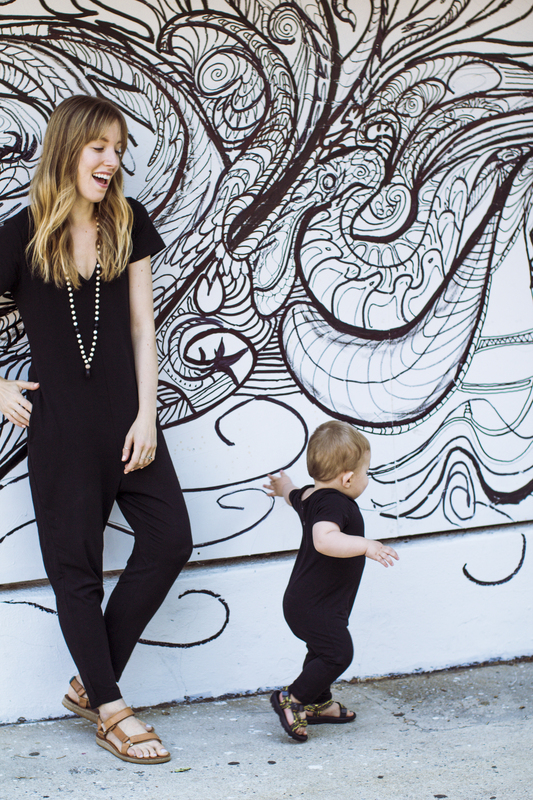 This brand makes matching cotton jumpsuits/rompers for mommy and baby (as seen here), which makes it easy to match for the modern family that likes to be comfy. I love finding boys clothes that aren’t the typical dino print or boring tees. 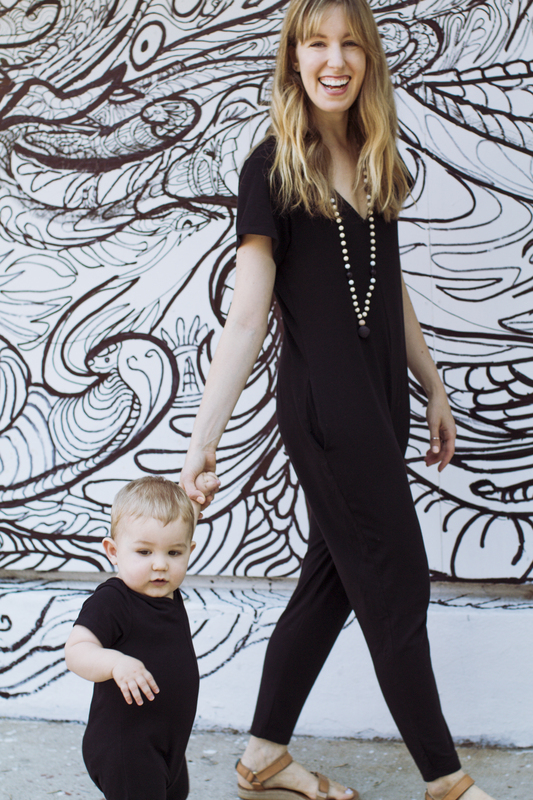 This jumpsuit set is perfect for lounging weekends and even cute enough to leave the house in. 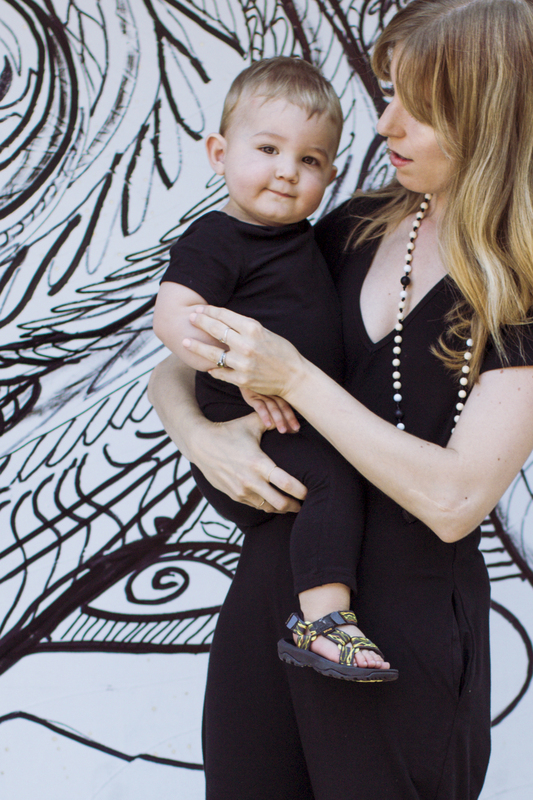 If you’re like me and would rather your baby bite you than wear those cheesy teething necklaces, then you’re in luck. 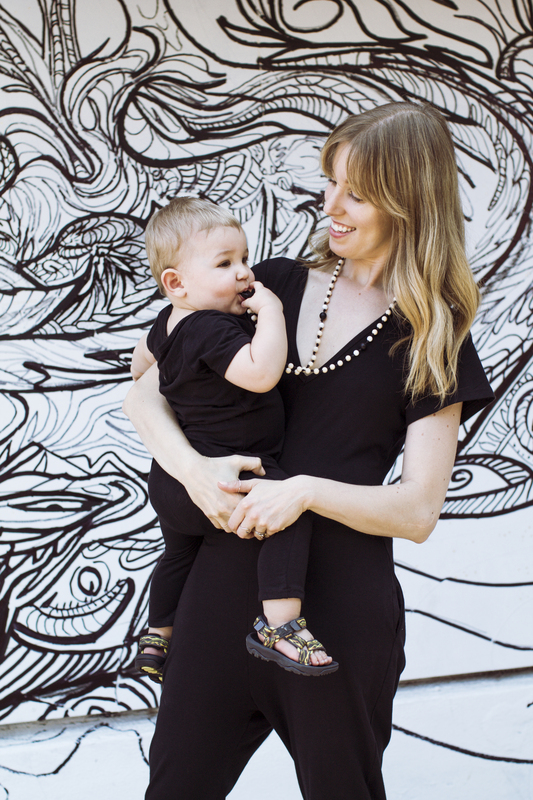 These Anjie + Ash teething necklaces (seen here) are not only baby safe with a break away closure and non toxic materials, but it’s also something you won’t be embarrassed to wear when you’re not holding a baby. I’m also a fan because the brand is named after the owner’s son, also named Asher like my little guy! 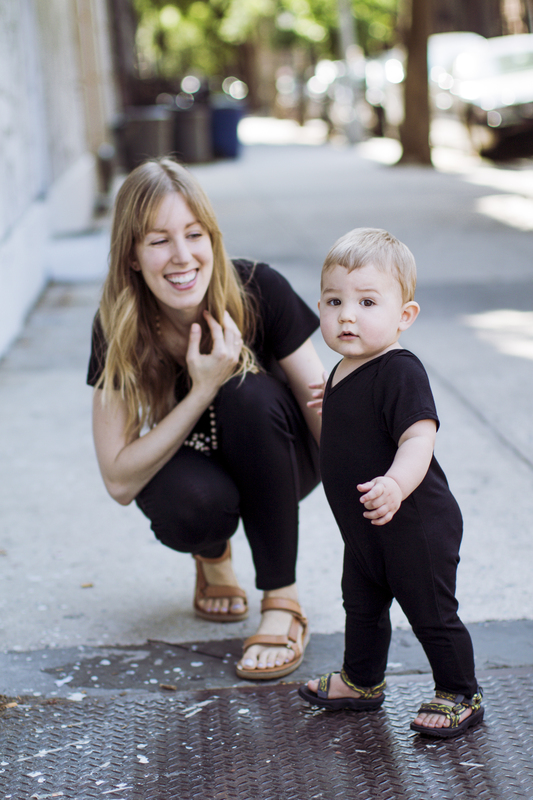 I’ve been a fan of this heirloom worthy knits by this brand even before I had a baby. It’s been my go-to source for giving gifts for expecting moms and was some of my favorite pieces I received for my baby shower. Since then, the brand has expanded to collaborations and even womenswear. 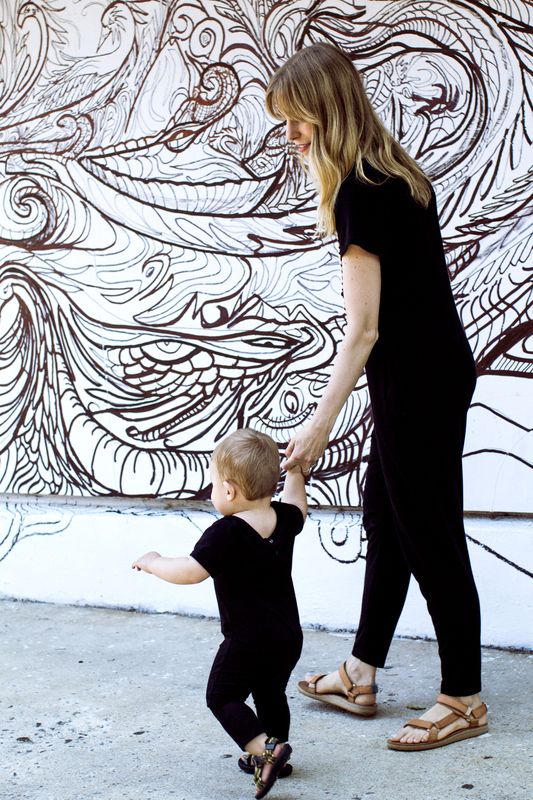 Designer Lindsay Degen expanded her main quirky high end knit brand, Degen, and created this off-shoot for baby (up to age 2) that’s unlike anything you’ve probably seen. You may have spotted this cool sweater on my little guy that he wore to the point it was basically a crop top on him. I just got this bigger sweater for him and a matching one for my husband for Father’s Day. For the older kid, this is one of the coolest new brands that I would basically want to dress my cool Brooklyn kid every day in. The clothes are cool, modern yet classic, but not outrageous. I haven’t bought anything yet because my guy because the clothes start at 2T, which he’s just starting to wear, but I can’t wait to dress him in all of this soon, including this cute snapback. You may have seen this retro tee on me recently and thought it was vintage. This brand makes cool 70’s style retro tees for the whole family that all make a statement and give you such feminist vibes. I also got this cute retro ringer tee for my little guy and this tee for the papa bear. Are there any baby / toddler / children’s brands I need to know and may have missed? Let me know either in the comments below or via email.